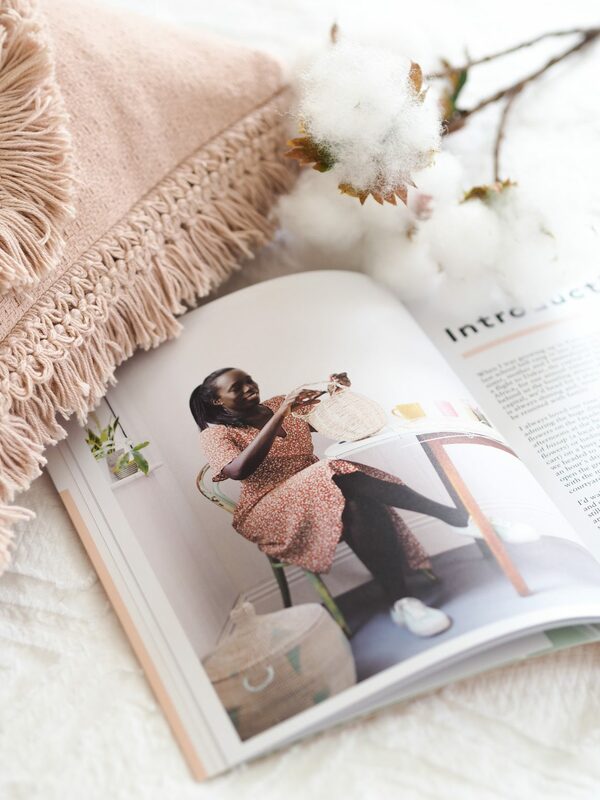 Having worked previously as a fashion stylist, and now a full-time content creator for the blog and interior clients, I’ve planned my fair share of photoshoots throughout the years. To create a really great piece of editorial, there’s some serious work that goes into the shoot before you even take out the camera. 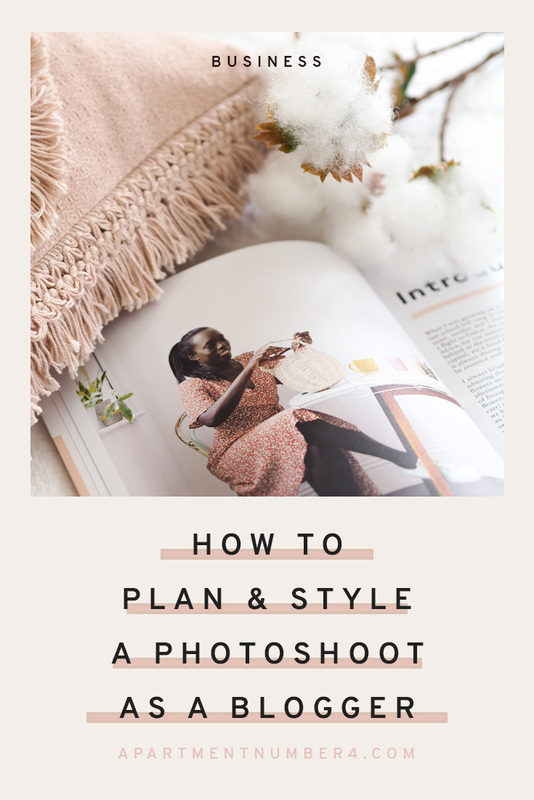 Today I wanted to share how I plan a photoshoot as a stylist, from inception to execution, whether that’s a blog collaboration for Apartment Number 4 or a large-scale location shoot for a client. This advice can be used across the board, regardless if you’re working with a budget, photographer or your own camera. The starting point for any photoshoot is the concept. What is it you’re looking to achieve from the shoot? Are you promoting a product? A service? Yourself? 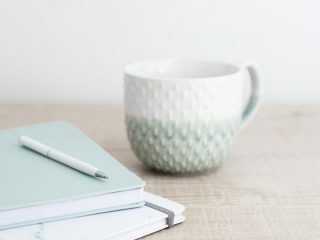 As a blogger working with a brand, most of the time you’ll have the freedom to create your own brief, but there’s also a possibility the client will have their own requirements. Make a note of those and keep them handy throughout. Let’s say you’re planning a shoot to showcase a range of tableware for a blog collaboration. 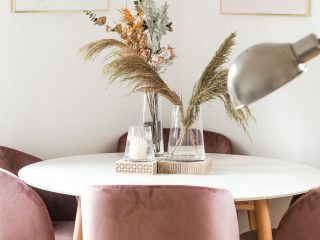 Taking into consideration your brand guidelines (brand colours, typical photography), you need to plan whether you want to stage a dinner party with people involved, a flatlay tablescape or even an Easter-themed brunch. Once you have your concept locked down, it’s time to consider budget. 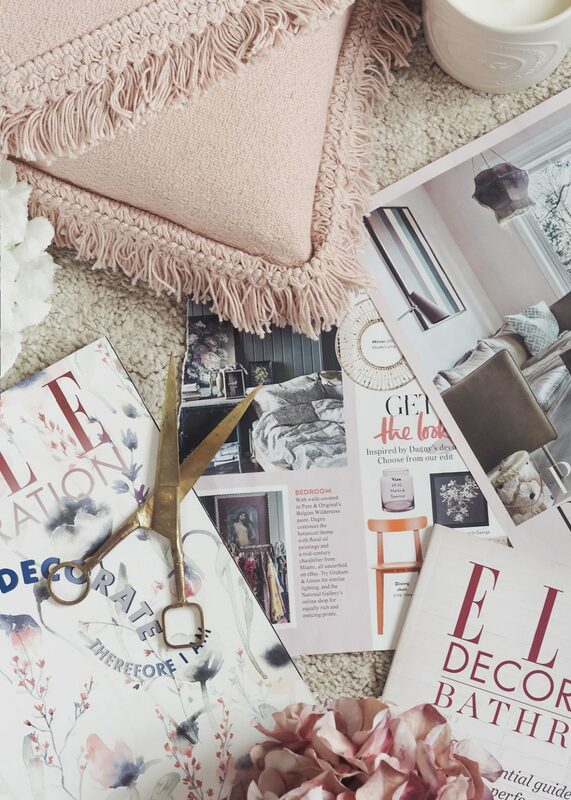 Budget can differ depending on whether you’re creating content for yourself or working directly with a client as a stylist. When working to a client brief, the budget will normally be laid out for you and it’s your job to source location, props, models etc within that amount. 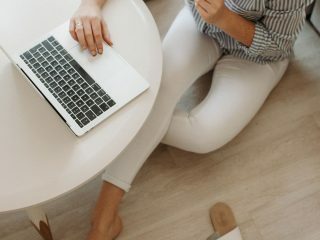 However, if you’re shooting content for your own blog, budget all depends on how much you have, how much the brand is paying you, and how much you want to invest back into the content. 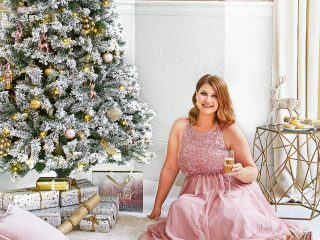 For example, I worked with a brand on creating an amazing winter wonderland Christmas shoot a few years ago. 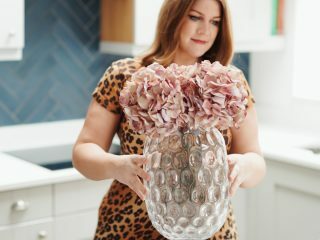 I knew this post could really boost my blog and if I spent a little bit more money on props and hiring a photographer for the morning, it would make all the difference. So, I took a percentage of the collaboration payment and put that aside to invest back into the shoot. This is your prerogative and as you’ll see from advice further down, you don’t automatically need budget to find props along the way. Working with a photographer can be a fantastic experience as a content creator. But as with anything, there are pros and cons. For a recent campaign I styled and shot for a client, the brief was to showcase their new baskets in a “modern country” aesthetic. My first port of call in planning any shoot is Pinterest. Here I’ll save not only typical interior and fashion inspiration, but certain styles of photography, editing finishes, model pose’s, and prop ideas. 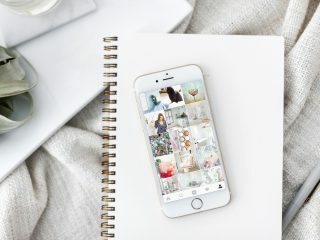 If you’re working with a client or a colleague, invite them to your Pinterest board so you’re both able to keep up to date with the direction of the moodboard. I then like to save all my final images to my desktop and create a moodboard in Photoshop or Canva. Canva, if you haven’t used it already, enables you to drag and drop images into a pre-made layout, which can be downloaded in either a jpg. or PDF format. 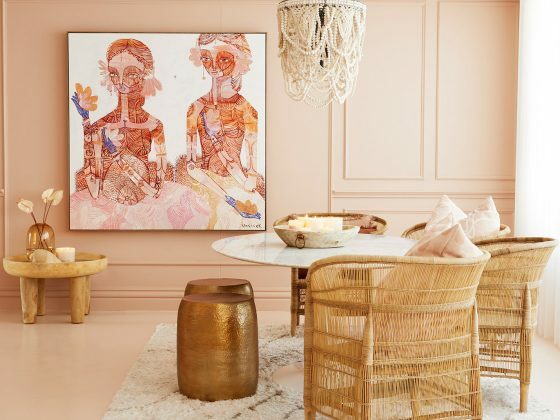 The reason I like to create a separate moodboard to Pinterest is to have a physical copy of the images together at my desk and on my phone to refer to when I’m prop shopping or location hunting. It also helps to send to the client to translate your ideas easily. For the home decor client mentioned above, I knew I wouldn’t be able to get the look I wanted by shooting the baskets in my own space or a studio. So I visited a website I’ve used a number of times called Lifestyle Locations, which hires out homes across Leeds, Yorkshire and the North West. The great thing about websites like this is that you can find houses and apartments to suit pretty much any brief. I knew I wanted something with a country element but nothing too shabby chic. This property was everything I needed and gave ample opportunities for various backgrounds. One tip when searching for a location – check what time of day the sun comes through into certain areas of the house so you’re able to plan what you’re shooting first. You could plan a full living room shoot but if it’s south facing you won’t be able to do this until the PM. If, however, you’re a fashion blogger and you’re shooting out in the streets, go on a recce and source different background locations prior to shoot day. A couple of weeks prior to a menswear editorial I directed, I walked around the city taking snaps of possible locations, giving me time to find some amazing backgrounds that I probably wouldn’t have found if we’d have been shooting ad hoc on the day. Finally, if you’re shooting at home, again make a note of what time of day the sun will come into different rooms. I know I can only shoot in my bedroom on a morning when the sun is out but not shining directly through the windows, whereas I have to wait until after 2pm to shoot in my living room, otherwise it’s too dark and the images have to be heavily edited. As you’ve done above, a good idea is to grab images of the location and again, create a moodboard so you have this handy when purchasing props and planning the day. As mentioned previously, you don’t have to spend a fortune on props, but you might want to pad out the image depending on the shoot concept. 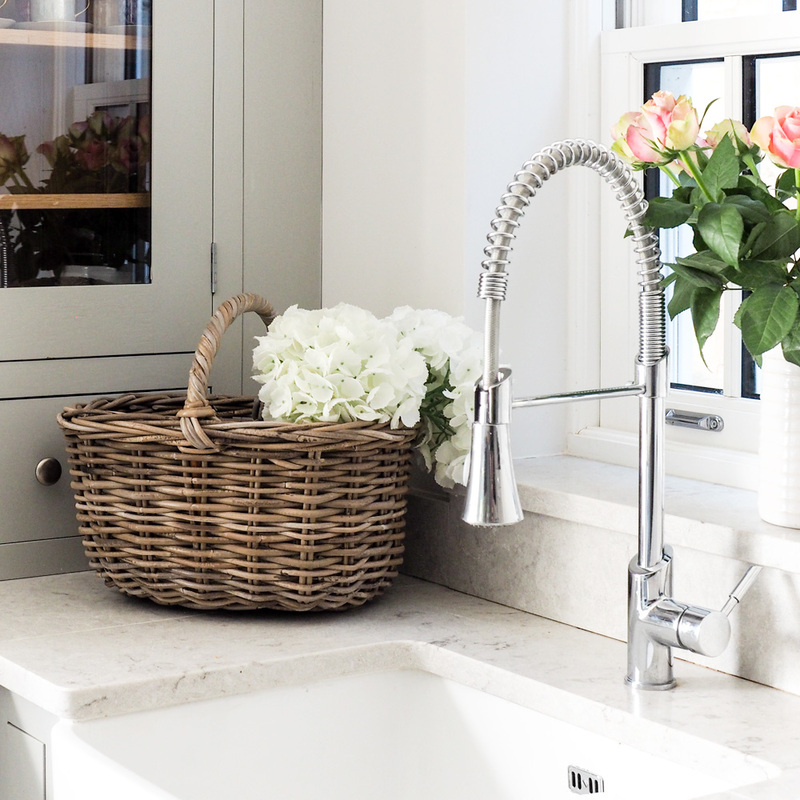 For example, for the interior’s client above, we were shooting wicker baskets, so props I picked up included fresh flowers, a newspaper, blankets, cushions, eggs, beautiful designed cookery books, an umbrella and some wellington boots. However, if you’re anything like me, you might have props lying around the house that you’ve not even considered. When I’m planning a blog shoot, I like to walk from room to room and see what props I can pull together that might suit my moodboard. I have a plethora of faux flowers, decorative accessories, candles, kitchenware and cushions that can usually be integrated in some way. Sometimes the prettiest of kitchen bowls can make a great prop somewhere else in the house, and a chopping board creates the perfect flatlay background. It’s about seeing your home with fresh eyes. With every shoot, you’ll no doubt have some kind of styling emergency, which is why I keep an interior stylists kit handy at all times. What’s included in a styling kit? One thing that I’ve learned over the years of styling and prepping for shoots is to be as over-prepared as possible. Make a list of every product you need to shoot. If you can, plan the timescale of what you’ll be shooting first at what location, with what prop. If you’re shooting headshots with a photographer, for example, make a list of places you want to shoot at and see if you can work out the quietest time to be there. If you’re shooting candid coffee shop images, perhaps Monday first thing is a good time? Or if you’re putting together a shoot at home and you know golden hour casts gorgeous sunbeams on your table, wait until then. Once shoot day arrives, make sure clothes/soft furnishings are crease free (I bought a relatively inexpensive hand-held clothes steamer which is great for ironing out creases in bedding, curtains, clothing etc), and make sure you plenty of water handy. One for the steamer and two for you. Another good tip if you’re shooting a number of products, is to have a pile of shot and a pile of waiting to be shot. This way you’re organised to a tee and the day can progress at a good rate. I work quickly on shoots because sometimes you’ll only have an hour or so to be able to get your images in certain lighting. 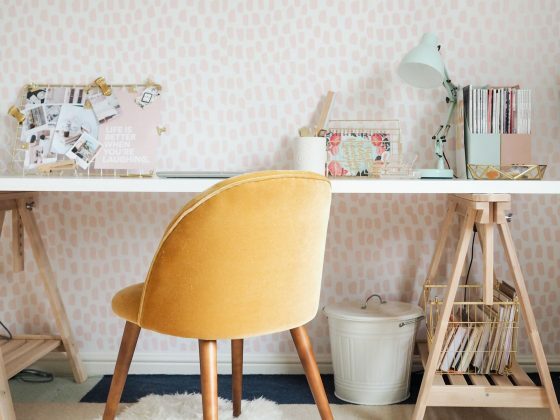 Whether you’re working alone, taking your own photography, or you’re working with a photographer, once the shoot is over you’ll be able to sit down and choose your images. Once thing I’ve found over the years is not to dismiss an image at first glance because a single crop can change everything. I use Lightroom and Photoshop to alter my images, increasing the exposure, lifting shadows, sharpening, and testing different crop angles, but I don’t over edit – especially if it distorts the colour or texture of a product I’m promoting. 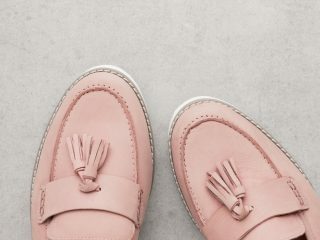 Editing isn’t something you’ll necessarily have to worry about as a stylist but as a content creator, it’s definitely something I wanted to mention. 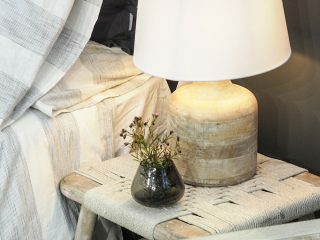 If you are styling in someone else’s home, you need public liability insurance, which covers you for accidents, breakages etc. I bought mine for £60 for the year from Simply Business, but definitely shop around. I hope this post has inspired you to plan a photoshoot of your own. It’s one of the best parts of my job and I love creating editorial content for both the blog and other clients. If you’re a brand and you’d like to discuss working together on your next campaign, head to my contact page to find out more. Wow. The number of ideas you’ve given in this is amazing. I have bookmarked! I love love love this! Such an important and informative post!